Sorry to keep you waiting, Ian here! Summer is starting to come to a close, but I haven’t gotten yet to go to one of the summery places I wanted to - a beer garden. Drinking outside with your friends on a sunny summer day definitely sounds like a great time. But summer, winter, no matter the season, people still love drinking! There’s a lot of interesting cultural things to look at in regards to drinking, so the theme this time is “alcohol”. We’re gonna break it up into three categories: what people drink, where people drink, and when people drink. So let’s start off with talking about the drinks themselves! Pretty much the most common thing to drink seems to be beer no matter where you go. With other types of alcohol people have varied preferences but the idea is that pretty much everyone enjoys a beer. That being said, there are some big differences between beer drinking in Japan and America. When you get beer in America, there are a lot of different choices as far as type, flavor, brand, etc. There’s also a lot of cheap, not exactly top-of-the-line beers. In Japan, on the other hand, for the average person there’s essentially just “beer”. 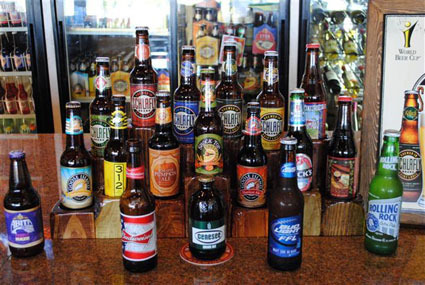 There are a couple different popular brands and some different brewing styles but for the most part a beer is a beer. if you asked for “a beer” in America it’s pretty likely you’ll be asked to clarify what kind. There’s also a lot of differences with drinks aside from beer! but Japan has another very popular style of drink that doesn’t really have an American equivalent: sours and chuuhais. “Chūhai” is a portmanteau of “shōchū” and “highball”, and they’re generally citrus-flavored highball-style drinks made with shōchū like the name implies. There are also often limited-time flavors of can chūhai at konbini, like double grape or lychee. A sour is another kind of cocktail, and a few styles of it like the margarita are popular in America, but Japan has a much wider variety, usually citrus or fruit flavors, along with some more outlandish ones like Calpis or ramune. 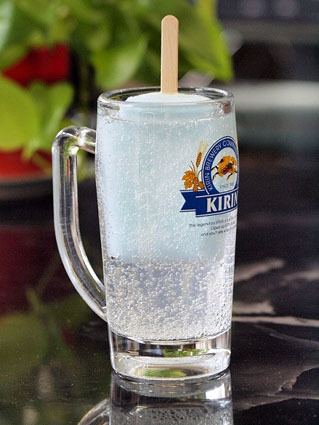 ガリガリ君サワー / The “Garigari-kun sour” - a soda-flavored popsicle in your drink! Personally, my favorite place to go drinking in Japan is at izakayas (literally “a place where you can stay and drink”). Going to an izakaya with a group of friends, getting your own booth, and having an all-you-can-drink party is definitely a blast! Bars, on the other hand, can be small, and you’re mixed in with a bunch of other people you don’t know, so I’m not so fond of them. There aren’t a lot of izakaya-like places in America, so if it’s not a straight-up bar, you’re probably going to be going to somewhere like a sports bar to drink. Sports bars can have more of a restaurant feel than regular bars, but they’re also, well, aimed at people who want to watch sports, so if you’re not going for that it might not be perfect. For me the most enjoyable place to have a drink in America would probably be a more traditional-styled pub. It’s still not quite what an izakaya is like, but it’s still a much more free and laid-back atmosphere. I do a fair bit of drinking at club events here in Japan, but I’m actually not really sure what it’s like in the States. but not having been to any club-style events I’m not as well-versed in that area. Thanks to all that I unfortunately can’t give a great comparison of prices, but in general I get the idea that alcohol is probably a little less expensive in America. It doesn’t actually happen a lot at my own company, but Japan definitely has a strong image of coworkers often drinking together after work. People do stuff like that every now and then in America, but it’s definitely not an everyday type thing. Probably the biggest reason for that is, again, the issue in America of driving. whereas in the States you have you find someone willing to both be a designated driver and who’ll actually take everyone else home. I talked a little about sports bars earlier, and there’s definitely a strong tie between sports and drinking in America. 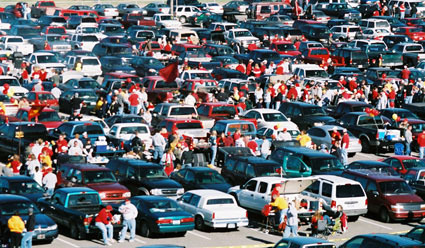 I’m sure everyone’s familiar with the concept of tailgate parties for football games. drinking/eating, socializing, and generally having fun until the game starts. Essentially, in Japan the cultural idea is that you “drink and then head home”, whereas in America you “head home and then drink”. It’s a pretty common American sitcom trope for the dad to come home and start drinking on his own; in Japan the image of drinking with friends is a lot more common in media. Here’s a track from Chimidoro - their leader Suzuki Nao also has a running article here on Pico Culture! From alcoholic label LBT’s latest alcoholic compilation, it’s an alcoholic rap with a funky beat. Check out the CD and get drunk with music! So yeah, let’s grab a drink!